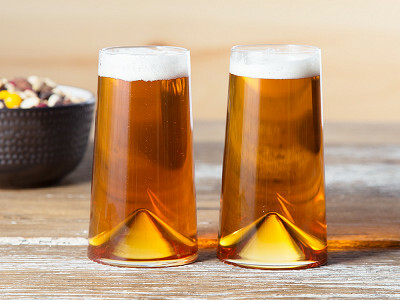 Your eyes aren’t playing tricks on you—Sempli’s Cupa barware appears about to tip over, but it won’t. 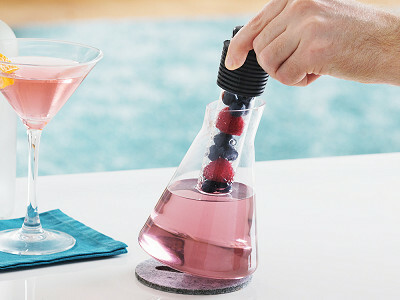 The stemless glasses and decanter have a cone-shaped bottom that rotates on its own axis. The pieces are carefully designed to function as revolving objects, so while the containers are spinning, the beverages get decanted. Daniele Semeraro, who was born in Vasteras, Sweden, came up with the idea for the Cupa series at a wine bar in Firenze, Italy, and the novel design reflects his dual Swedish/Italian identity. The Swedish influence can be seen in his functional approach to design: the swirling rotation of the glass helps oxygenate your wine and spread the aroma of whiskey or brandy. Staying true to his Italian heritage, Daniele’s design celebrates the craft of glass blowing and adds some aesthetic playfulness by creating a tabletop display. 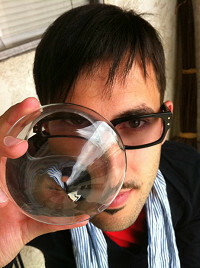 (Daniele's felt coasters help to keep his glasses still.) 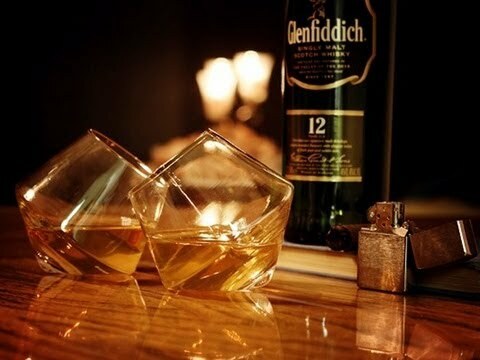 When you’ve found the perfect whiskey or wine to complement a meal, you need the right glass to enjoy the full effect. 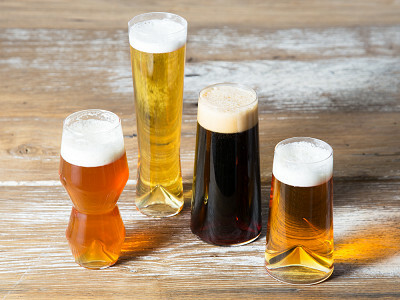 Sempli’s Cupa barware stands up to the occasion. Ciao, My name is Daniele Semeraro but everyone calls me 'Danne.' I'm the Founder and Designer of Sempli. Ever since we launched Sempli in the US we have been overwhelmed by the positive response our contemporary designs received. 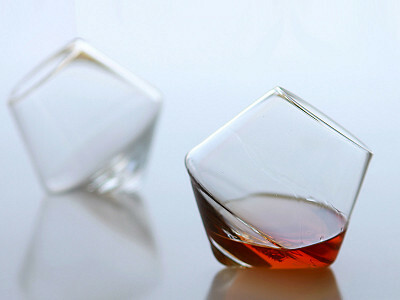 In the eve of Father's day what could be a better gift than a pair of our Cupa-Rocks whiskey tumblers to evoke daddy's inner "Mad man." I will be here live to answer any questions you may have. 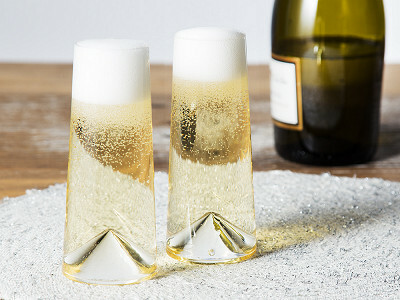 Right now we are selling the 2 glasses as a gift set as well as the decanter. You can see which products are available by clicking on the "Shop" buttons below the video. 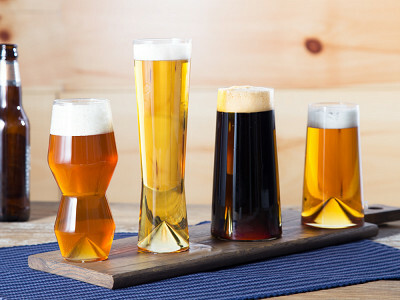 Yes, this glassware is made from lead free crystal. You can always find this information under the "details" tab when you click into the product under "shop"
Oh my heart....I love these! 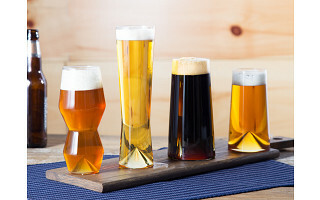 My sons gave them to me for Mother's Day and they are so much fun to drink with and spark conversations with. What a great idea Danne.